THOUGHTSKOTO Thoughtskoto : ACCORDING TO SURVEY, PHILIPPINES, AMONG TOP 3 'NOT SO SAFE' PLACES IN THE WORLD? ACCORDING TO SURVEY, PHILIPPINES, AMONG TOP 3 'NOT SO SAFE' PLACES IN THE WORLD? 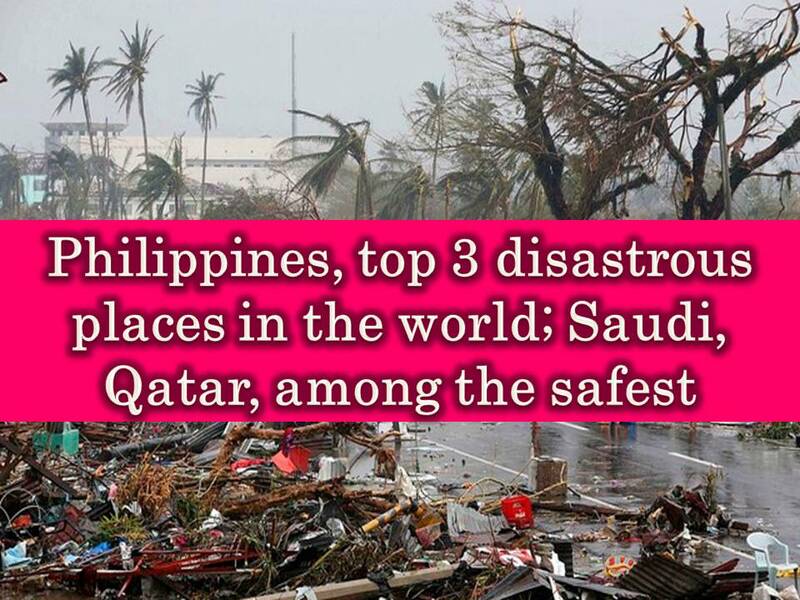 The Philippines has been ranked among the top three disastrous places in the world. This is according to the World Risk Report 2016 of Institute for Environment and Human Security at the UN University base on a study analyzing a different kind of disasters in 171 countries. Top in the list is Vanuatu and Tonga, the Philippines, Guatemala, and Bangladesh. Natural disasters like fires, typhoons, tsunamis and earthquakes reduce the proportion of people living in security and safety in those countries. The said study covers issues regarding the environment, natural and human aspect, as well as infrastructure in many countries, the ability of the government to provide security for citizens, and ability to deliver aid quickly in the event of certain disasters. Vanuatu and Tonga specifically suffer from frequent earthquakes and volcanoes, decreasing their safety levels. Thirteen out of 15 countries with low safety levels are located on the African continent and this can be attributed to the low development levels. Most safe in the list is Qatar, Malta, Saudi Arabia, Barbados and Grenada due to fewer natural disaster and constant effort by the government in terms of health, security and infrastructure. Rich countries ranked higher on the list due to good infrastructure, larger food assistance and the development of telecommunication, electricity, sewage, water and other services that people need. The US ranked 116th, while Australia has been ranked 121st on the list because it suffers from flooding throughout the year.